Tang Yan (The Princess Weiyoung), Shawn Dou (The Last Race) and Yang Shuo (Ode to Joy) are confirmed for See You Again 时间都知道, an adaption of Sui Houzhu’s romance novel of the same name. Tang Yan will play female lead Shi Jian, who time travels back to the past in her dreams after a plane crash. Armed with knowledge from the future, she decides to solve all her problems beforehand and win over her future husband Ye Jiacheng (Shawn Dou) from the beginning. Surprisingly, the younger Ye Jiacheng is an overly ambitious young lad who also has a knack for breaking ladies’ hearts. In the past timeline, Shi Jian also befriends her superior Yi Pei (Yang Shuo), a young and successful CEO who harbours unrequited feelings for his new assistant. Shi Jian ultimately discovers that the ‘new’ past is full of surprises, and only time can tell what the future holds. 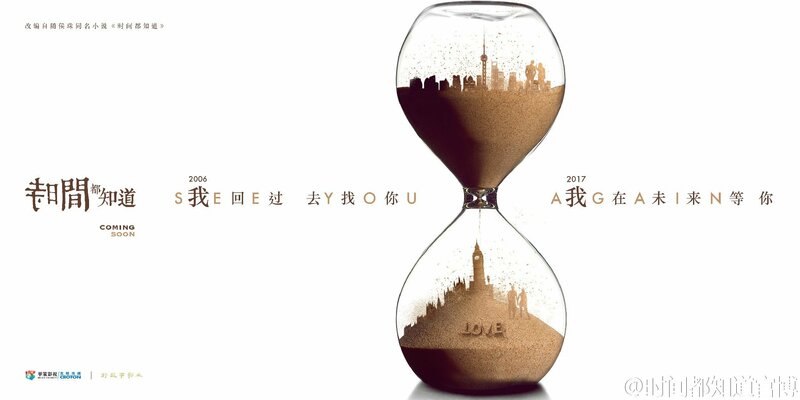 The drama is in the hands of solid screenwriting duo Gao Xuan and Ren Baoru, whose credits include 2010 film Sacrifice, My Youthfulness and Farewell, Vancouver. See You Again has already started filming, and is slated to run for 40 episodes. This entry was posted in Drama, Mainland China and tagged See You Again, Shawn Dou, Tang Yan, Yang Shuo by XDramasX. Bookmark the permalink.